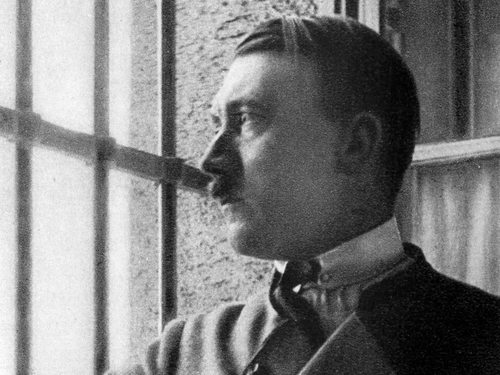 Russia has added Adolf Hitler's 'Mein Kampf' to a list of books that are banned for their extremist content. The Russian prosecutor general's office said the book has been freely available up to now on several websites and was also sold by some booksellers. The lengthy 1925 book by the Nazi leader, whose title translates as 'My Struggle', tells the story of his early years and exposes elements of his anti-Semitic political ideology. Russia introduced the ban after prosecutors in the central Russian city of Ufa found the book freely available. A city court ruled that the book was extremist, a decision that put it on the list of banned books. Russia already has a law that automatically qualifies all books written by leaders of the Nazi Party as extremist. The Russian justice ministry maintains a list of publications that have been defined as extremist materials on its website. The sale or distribution of them is punishable with a fine.